Ah, hello October! It's Halloween season with Christmas slowly creeping around the corner. But before we go too far into the future, let's talk about September and how much of a successful (or unsuccessful) month for me. Last month, I mentioned how it was going to be a productive time for me but if you read my last post, you would know it was anything but that because of me binge watching the crap out of a show on Netflix. I said that I would work on improving old content, which I did a little bit actually, but not as much as I wanted to. I also said that I was going to find a program to enrol Kayla into. I did get a sheet to look at but I still need to discuss it with the boyf, so it's technically in the works. Next up, I decided to start reading again. And, just like the goals I just mentioned, I half assed it. I picked up a book but I didn't get hooked, so I gave up on it and haven't gotten around to buying another book yet. I'm actually so sad that I didn't get around to experimenting with photography because that was the goal I was most excited to do, ugh. Lastly, to be more social. I think I have been a bit more social but again, not to my full potential. Definitely making this a goal again! And now for this month's goals . . .
Like I said, I was really upset with myself that I didn't get this done last month. So I'm making it one of my goals again. 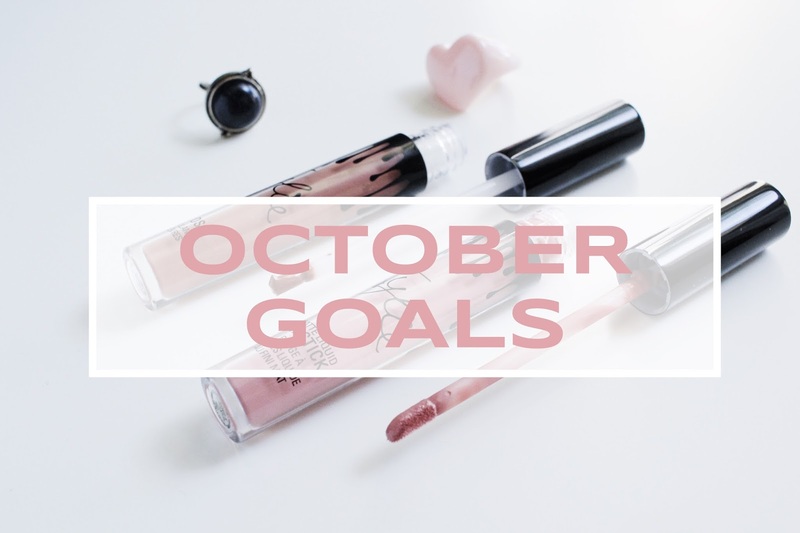 I think this month is a much better time to have this in my goals. With all the leaves changing and falling, it could make for amazing photos! Hopefully there won't be a 'trial iii' next month. When it comes to October, the first thing that comes to mind is Halloween. Every time this time of the year rolls around, everyone does their little Halloween bit and I just love it! Now that I have an outlet, I can finally join in on this fun time of the year and I'm so excited! Another thing that I love about this time of the year is the fashion. In my opinion, a/w is the best season when it comes to fashion. Not that I'm a fashionista though. But I am in the market for some new pieces to add to my wardrobe! My mailing list is starting to grow. I actually didn't expect to have as much as I do, especially since I don't really urge people to subscribe. But since I do have quite a few on there, I think I should start using it more and send out some exclusive things. So if you're curious as to what I'll come up with, you'll just have to subscribe (you can find that on my sidebar)! Last but not least, I want to get some baking done. Why? I'm not sure. But I think it'll be a fun experience to do with my daughter. I remember baking cookies with my mom when I was a little girl. It's a nice memory that always warms my heart, so I'd love to pass that on to my little one. Do you have any recipes that you'd like to share?